GB Boxing’s European Silver Medallist and 2016 Rio Olympian, Galal Yafai appeared at the Opening Ceremony of the Birmingham School Games. He was joined by his brothers, and previous GB Boxing squad members Khalid and Gamal Yafai. The School Games looks to carry on the legacy from the London 2012 Olympic Games, encouraging children aged from 3 to 13 years to get involved within school sport. 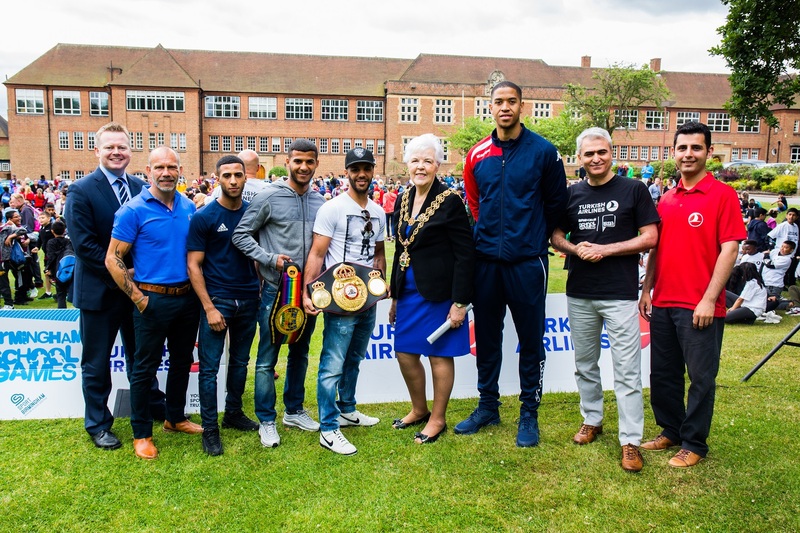 The three brothers presented medals to school children from all over Birmingham and got involved in the boxing sessions that were taking place in the mobile boxing arena throughout the event. The event saw over 1000 primary and junior sporting hopefuls get involved across a range of different sports.